Amitabh Bachchan’s film Badla that released in March this year, was commercially successful at the box office. The mystery thriller that also starred Taapsee Pannu in the lead, opened to positive responses from critics and fans. This Sujoy Ghosh directorial grossed more than Rs. 135 crore worldwide. Despite being such a huge success at the ticket windows, there is something that is bothering the film’s lead actor. Big B shared a tweet yesterday in which he mentioned that no one has even taken 'nano second' to compliment about Badla. 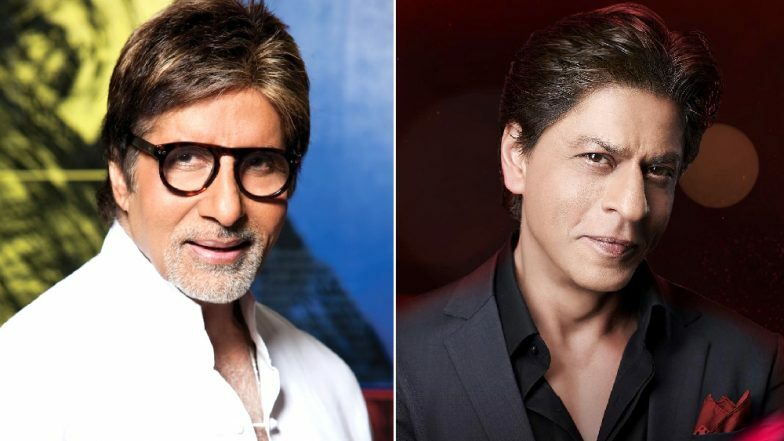 And this tweet was noticed by the much loved Shah Rukh Khan and the King of Hearts has given an epic response. We are sure, that reply must have made the veteran actor smile. Tapsee Pannu's 'Lover' In Badla, Tony Luke, Reveals The Reason behind His Heavy Mallu Accent In The Film - Watch EXCLUSIVE Video. Amitabh Bachchan tweeted saying, “... about time someone started talking about this silent success .. !! because neither the Producer, nor the distributor, nor the on line Producer, or any else in the Industry, in general .. has even spent a nano second to compliment the success of this film #Badla .. thk u”. To this Shah Rukh Khan said, “Sir hum toh wait kar rahein hain ki aap party kab de rahein hain hum sabko! We r waiting outside Jalsa every nite!” Take a look at the tweets that has caught everyone’s attention. Shah Rukh Khan Watching an IPL 2019 Match with Director Atlee Makes us Wonder if He's Planning a Remake of Vijay's Mersal. Badla was produced by Shah Rukh Khan’s Red Chillies Entertainment and Azure Entertainment. The film is an adaptation of the Spanish film The Invisible Guest that released in 2017. Stay tuned for further updates.